301, Platinum Plaza, V . T Nagar. The benefits conferred to the Customer by this manufacturer’s warranty are in additional to the consumer guarantees, rights and remedies under the State and Federal consumer protection laws including those prescribed under the Australian Consumer Law which is defined herein as your Statutory Rights. This warranty does not detract, excluded or limit your Statutory Rights. Your Statutory Rights entitle you to a replacement or refund for a major failure and for compensation for any other reasonably foreseeable loss or damage. You are also entitled to have the goods repaired or replaced if the goods fail to be of acceptable quality and the failure does not amount to a major failure. Warranty Date = the purchase date or installation date or the date indicated on your Proof of Purchase whichever is later. APS warrants to the Customer that its factory-assembled and supplied solar panels, including the photovoltaic modules (“the PV modules”), frames, brackets, connectors, inverters and cables (“the parts”) are free from defects or failure for a period of twelve (12) years from the Warranty Date. Non-conformity to the specifications of the PV Modules or the parts. Should any PV modules or parts be found to be defective, APS will repair or replace the defective item at no cost to the Customer. In the unlikely event the PV modules or parts cannot be repaired or replaced, APS will provide a refund of the cost of the PV module or part. Exception:APS does not warrant a specific output power from the PV Modules under this warranty. 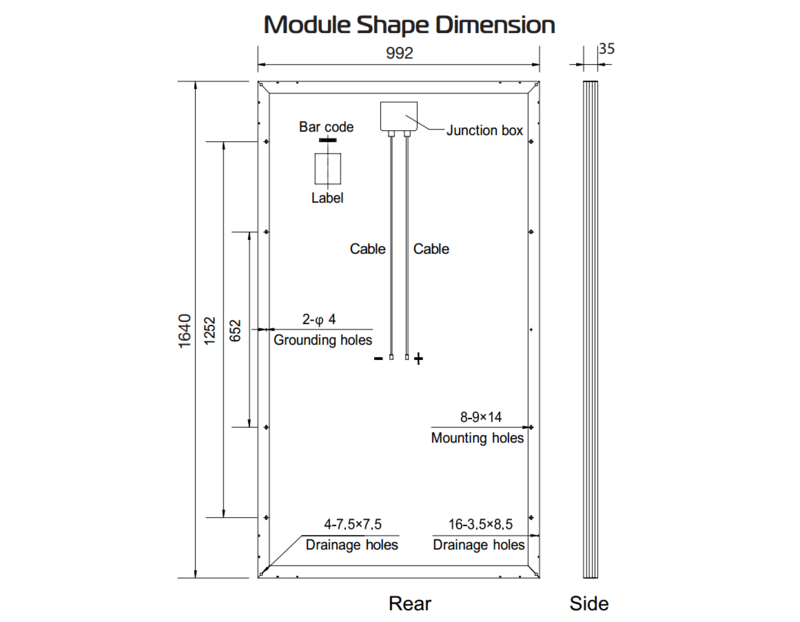 Peak Power = being the maximum rated power of the PV Module as specified in the APS specification sheet. Standard Testing Conditions (“STC”) = also referred to as Standard Operating Conditions, being the best practice industry Standard for testing and comparing solar panel performance,. 12 years Peak Power Limited Warranty: APS warrants that for a period of twelve (12) years from the Warranty Date the power output obtained from the PV Modules supplied shall not be less than 91.2% of the Peak Power tested at the STC. Should any of the PV Modules fail to provide the power output as warranted as a consequence of defective materials or workmanship, APS shall repair or replace the defective PV Module. Alternatively at its sole discretion, APS may add one or more additional PV Modules to the system to bring the total Peak Power output of the complete system to at least 91.6% of the specified Peak Power. 30 years Peak Power Limited Warranty: APS warrants the for a period of thirty (30) years from the Warranty Date the power output from the PV Modules shall not be less than 80.6% of the Peak Power tested at the relevant STC and specified in the APS specification sheet. Should any of the PV Modules fail to provide the power output as specified as a consequence of defective materials or workmanship, then APS shall repair or replace the defective PV Module. Alternatively, APS may decide to add one or more additional PV Modules to the system to bring the total Peak Power output of the complete system to at least 80.6% of the specified Peak Power. Subject to any Statutory Rights, the remedies provided under this PART B shall be the only remedies available pursuant to this PART. Subject to the proper and timely conduct of maintenance of the PV Modules and the parts, the warranties contained in PART A and PART B may be transferred to another Customer provided the PV Modules remains installed in their original location. The warranties provided in PART A and PART B applies strictly to the normal use and service of the PV Modules and parts. These warranties do not apply to PV Modules or the parts that have been tampered with, had work performed on them by person(s) other than a Clean Energy Council Accreditor Installer or not in compliance with the APS User Manual. The glass on the PV Module is chipped or cracked or a part is damaged, dislodged or loosened as a consequence of shocks, stresses or movements of the roof or its support or as a result of an object falling onto the glass or the parts. Damage caused by the weather or through any other unforeseen circumstances. Damage caused through no fault of APS or in circumstances outside the control of APS. Damage caused or contributed to by a lack of maintenance as prescribed in the APS Maintenance Schedule. improperly or incorrectly installed, handled during transportation or during storage. installed onto a mobile site or location. moved or relocated from its original installation site. installed close to or in a harsh marine environment or where the air or atmosphere contains high levels of acid, salt or any other pollutants or subjected to abnormal or unusual environmental conditions. subjected to improper voltage or power surges. subjected to the effects of a fire, explosion, power surges, lightning or any other similar event. The warranties in PART B are subject to regular or periodic maintenance being carried out to achieve optimum performance of the PV Modules and parts. The minimum recommended maintenance required is set out in the APS Maintenance Schedule. Failure to conduct regular or periodic maintenance may void the warranties in PART B. Notwithstanding, APS may at its discretion apportion or allow all or part of any such warranty claim to proceed subject to an inspection of the PV Modules or the parts. No warranty claim shall be accepted for minor scratches or surface defects on any PV Module or part unless such defect affects the performance of the PV Modules warranted in PART B. The warranties in PART A and PART B only apply to PV Modules and the parts which can be identified by type, labelling or serial numbers as being manufactured or distributed by APS or its authorised distributors. The warranties provided exclude the transportation and handling costs or any other costs for the return of the defective item(s) or the shipment of the replacement item(s) to and from the ASP’s stores to the Customer’s or authorised distributor’ site unless the consumer is taking advantage of thier statutory rights. All such costs including the cost of the removal and re-installation of the replacement item(s) must be fully borne and paid for by the authorised distributor or by the Customer before APS ships the replacement item(s). All warranty claims must be lodged with APS within the applicable warranty period. APS reserves the right to reject any warranty claim lodged outside the relevant warranty period. a detailed description of the claim. After a warranty claim has been lodged, APS may request that the Customer provide proof of all maintenance work done to the PV Modules as per the APS Maintenance Schedule. Failure to provide proof of the scheduled maintenance may void the warranties provided in PART B. Before any PV Module or parts are returned to APS, it must be first authorised by APS. The return must be first authorised by APS. Any such item returned and replaced under a warranty claim shall become the property of APS. 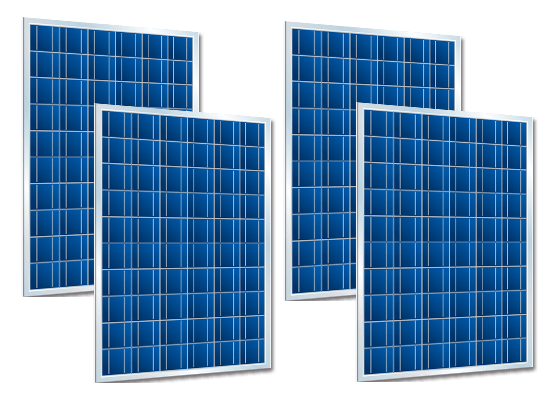 As some PV Modules and parts are discontinued or superseded, APS reserves the right to replace any PV Module or part with a newer model. The repair or replacement of a PV Module or parts does not extend the terms of the warranties in PART A or PART B for that PV Module or parts. We work closely with our network of local partners to ensure the convenient, efficient installation of your customized solar system with latest technology.